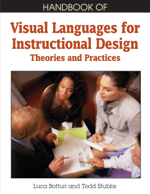 This chapter is interactive, with surveys and reflective examinations of the reader’s own work in instructional design. It examines instructional design using four professional models: manufacturer, engineer, architect and artist to help develop a broader understanding of the process of design. The values of the instructional design are also challenged, with the chapter examining the balance between utility and aesthetics, function and form. It concludes with a call for the instructional designer to work more as an artist, and offers tactics to encourage that change.